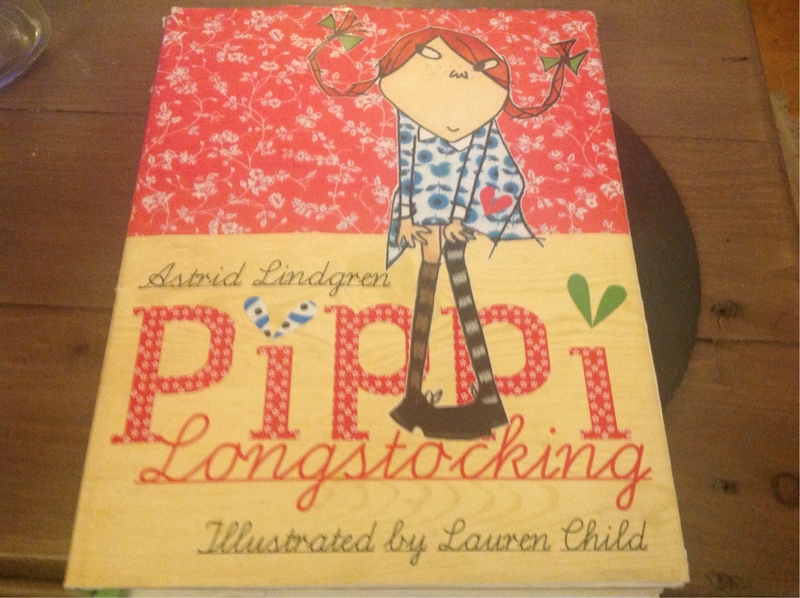 This picture was in a pippi long-stocking book ( the lauren child version). This picture looked to me like it should be a sequence. Were it not for the two "1. "s and that the outcome seems to just be a scribble, I'd say it was a join the dots puzzle. It appears to be an artistic choice. The surrounding cupcakes also have numbers in specific ranges. 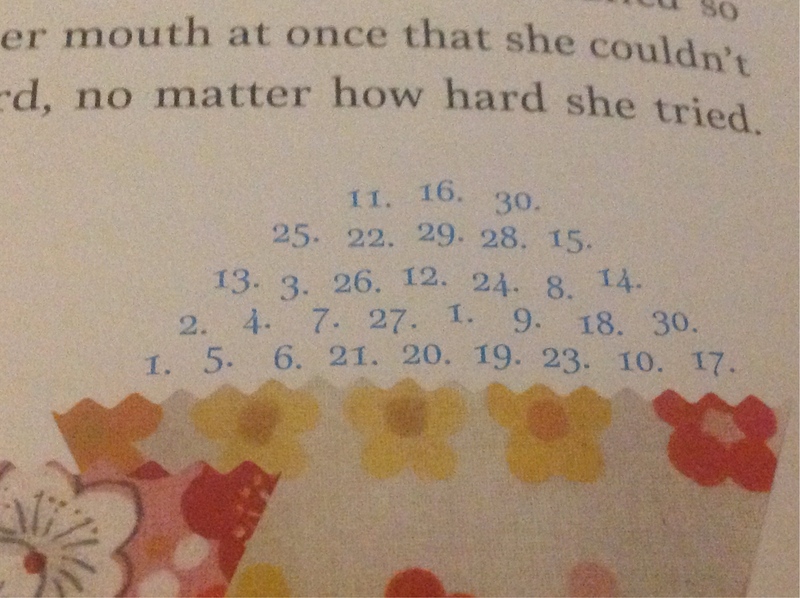 Interestingly enough, there is no crossover with the numbers apart from "30." 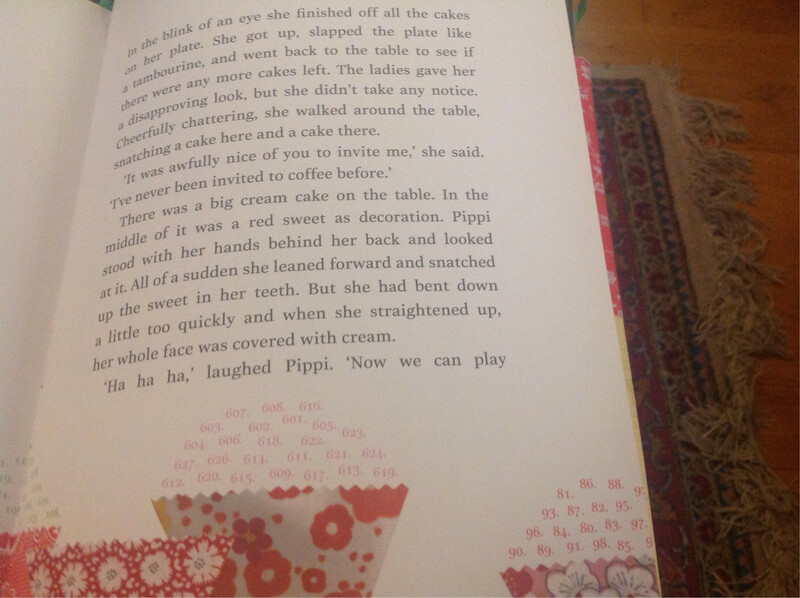 appearing in the orange cupcake as well (at the edge of the page). Id say its safe to assume that each cupcake contains a unique range of numbers and doubles of the numbers on the bounds of the range. There appears to be no correlation with the position of a number in the cupcake and its value however I cannot say that there is no link between the properties of numbers and the cupcakes that they're in. 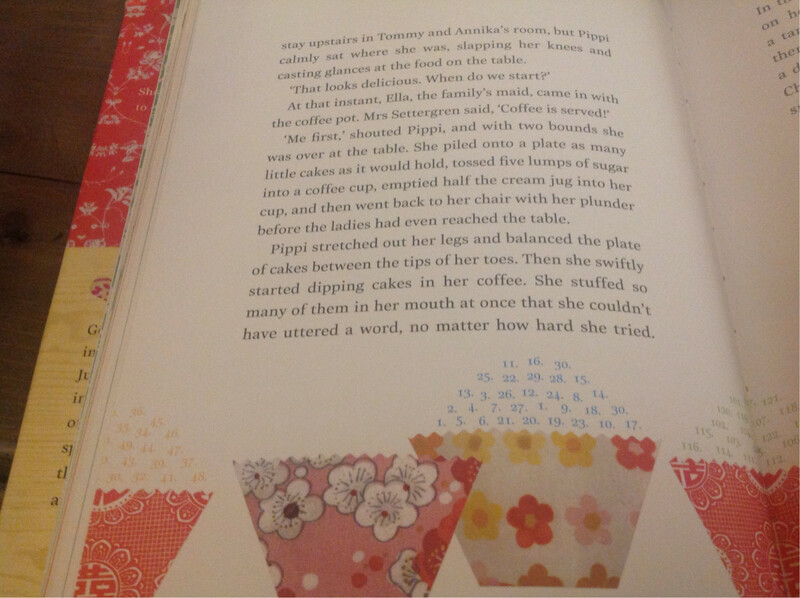 From this information I will say that this illustration is supposed to display the calculating nature of Pippi. She sees sugar as just a number and wants to raise it as high as possible in a short amount of time. The duplicate numbers shows her efforts in stringing the cakes together. The randomness of the numbers shows her erratic nature in stuffing her face. Not the answer you're looking for? Browse other questions tagged mathematics pattern visual puzzle-identification or ask your own question.